Pokhara, or rather the Lakeside (Lake side) area in Pokhara is the most pleasant place in Nepal to prepare for a trek in the Himalayas or to rest after it. A standard set of vacationers who can be found in similar places around the world. There are maximum greenhouse conditions for foreigners: hotels with views of the Himalayas, quiet clean streets, many flowers, cafes with organic coffee, organic food. Also, you can buy any clothes and shoes for trekking, the prices for it, plus or minus, are the same as in Kathmandu. Pokhara is the third largest city of Nepal. Lakeside (area near the lake) – this is a reservation for tourists. Nepalese themselves live much more modest, but for us they have created a certain island of tranquility. There are both very modest bungalows for $ 5 per day with a shared toilet, guest rooms and hostels for the same amount, and hotels. Different prices. The easiest and cheapest accommodation is better to look for on the spot, the hotel can be booked in advance. If you want to get enough sleep at night, then it is better to settle either completely near the lake, or on the internal streets behind the road. Around the lake you can walk, sit in a cafe, lie down, float on it in a boat or kayak, fly over it on a paraplane, look at Fewa from the neighboring mountains. A lot of entertainment related to the lake, there is in Pokhara. The only thing that is impossible is to bypass the lake around the perimeter, moving only along the water’s edge. That fence will be a closed area, then there is simply no passage. There are paths that allow partially walking along the lake through the original parks. A small Hindu temple is located on an island in Phewa lake, you can get there by boat or by kayak. There is no need to go specifically, but if you still rented a boat and ride on the lake, you can look. Since a considerable percentage of Pokhara visitors are exhausted trekkers, and also yoga and vegans (or those who want to become them), there are several retreat and yoga centers on the shore of the lake. Especially praise Sadhana yoga retreat (staff, lake view, delicious food). There are courses designed for any level of training and for any number of days (from 1 to 32 days). Prices depend on the yoga course and the number of days. For example, $ 22 for one class Hatha yoga, $ 200 for 3 days of stay and classes, they have all the data on the site. Entry to World Peace Pagoda is free , you can put donation in the box. The Buddhist pagoda of peace stands on a mountain (1033m) on the opposite side of the lake, visible from any point of the lakeside. You can across the lake by boat and walk through the forest through the hills to reach the pagoda ( 30-45 minutes up from the pier) or you can come here by bike or taxi on the ring road. You pass this suspension bridge when you walk to the pagoda of peace. Under it, the locals wash in the river and wash their laundry. Such a big laundry. The spectacle is entertaining if the life of ordinary Nepalese is interesting. In front of this bridge there is another cheerful suspension bridge, there are some soldiers with machine guns (West Regional Armed Police Battalion), the linen is dried and white water flows into the lake. There is a lot of information about paragliding in Pokhara, look in the internet, incl. people tell how to get good discounts on a flight. I was planning to try, but because of the haze hanging over the city for 4 days, I refused this idea. In Pokhara there is the Davis waterfall, Devi’s fall, opposite the waterfall is the Gupteswar Gupha cave . In the north of Pokhara there is another Mahendra cave – here it’s not so much the cave itself that is beautiful as the funnel-shaped staircase leading down. If you rent a bike, you can drive in, from lakeside 10 km . Also in Pokhara there are several temples and museums. Pokhara is located in the foothills of the Himalayas, most tracks in the Annapurna massif begin in the vicinity of Pokhara, including the three most popular tracks: the Annapurna Circle, the ABC Track (to the Annapurna Base Camp) and the Gorepani Pun Hill Track, where we used to go. Everest from Pokhara is not visible, it is on the other side north-east of Kathmandu, and Pokhara is on the west. If you plan to go to the track in the Everest region, then from Kathmandu you need to go to Lukla. The offices of ACAP Permit & TIMS Counter in Pokhara are 400 meters from the bus stop where bass from Kathmandu arrives. If there is little time before the track, it makes sense to immediately go off the bus to arrange the permits, and then go or go to your hotel on the Lakeside. Most of the cafes I write about were near our guest. Naturally, if you live in a different area, there will be your own cafes. Here I indicate only those institutions that I liked. Those that did not like, much more. Vegetarian cafe at the same name Gest. The price tag is average. I liked the thoughtful interior with the fire in the center of the room, the atmosphere, service and large portions. Went here often. Here is a delicious Greek salad, bruschetta, pasta, mint tea and coffee. Omelet for breakfast fatty. There are always a lot of Chinese people here, the food is delicious, if you like Chinese food and know what to order. This restaurant is recommended in all the tops, it is in Kathmandu and Pokhara. Praise food and large portions. Cuisine of different countries (Turkey, Israel), suitable for vegetarians. I tried here only the corporate dessert (OR2K queen) and mint lemonade. Cook in the oven with you. Tasty and fast. Ordered pizza “All pollo” and “Calzon”. The second is more interesting. Located opposite Godfather’s Pizzeria. At the entrance is a friendly guy of small stature. Here low prices for Pokhara, tasty fish, momo, chicken, large portions. Here in more detail. There is a local bus stops at every corner, picks up all the passengers, people stand, sit and hang on almost one finger, the distance between the seats is microscopic. Rides at least 8 hours. There is a local minibus from the Kalanki stop, it departs every 30 minutes from morning until 16.00, luggage rides on the roof. The easiest and most common way is to take a tourist bus. There, the seats recline a little, all passengers go sitting, only two stops on the way (breakfast, lunch, toilet). We give you The Best Nepal Travel Guide to Plan a Holiday from around the world based on our own experience with tips, practical information, what to see in the country and much more. Nepal is a country in its most mountainous with the highest peak in the world, Mount Everest, famous in terms of tourism for its trekking through the Himalayas. In turn, the ancestral cities of Kathmandu and Bhaktapur reflect centuries of ancient history embodied in temples and squares. The local people are characterized by their kindness and solidarity. The visa is on arrival whether it is airlifted to Kathmandu or the border crossings of India and China. The price varies according to the duration of the visa. It is characterized by two well-marked seasons. The dry season that goes from October to May and the rainy season that extends from June to September. March to April and October to November are the best times to visit Nepal when the weather is not rainy and the sky remains clear which allows you to appreciate the mountains in all their splendour. The months of December and January also enjoy good visibility, but in the mountains, the cold is felt with greater intensity. On the contrary, the months of May and early June, before the monsoon, are very hot and the visibility in the mountains is considerably reduced. The official language is Nepali. However, in Kathmandu, Pokhara, Chitwan and the villages where the most frequented trekking routes pass, they defend themselves with English. To move between cities there is no train, there are only buses. The planes make the journey to the cities of Nepal. There are VIP buses for tourists, with many more amenities. There are also local buses which are cheap and very basic. The seats may uncomfortable and do not have air conditioning. It is possible to find accommodation in Nepal with an adequate quality-price ratio. Hotel Reservations through a search engine are usually may expensive. So choose the best trekking company in Nepal and they will provide you with the hotel on best price. We were invited in both Kathmandu, Pokhara, Bhaktapur and Lumbini, but you can find basic double rooms for 8 euros a night. As for accommodation in the villages of the trekking route, it is generally free in exchange for you to eat and have breakfast in the place. Only in the villages closest to Thorong La Pass (5416 masl), they charge the double room between 200 to 500 rupees. The Nepalese star dish is Dal Bhat, cooked rice with a soup of black lentils in the shape of a stew. It is accompanied with sautéed vegetables or some bitter sauce. Nepalese food has a lot of Indian and Tibetan influence, due to its geographical proximity and a large number of Tibet refugees living in the country. Nepal is the only country in the world whose national flag is not rectangular, but two triangles. These represent the Himalayas and also Hinduism and Buddhism, the two main religions of the country. The Nepalese calendar is used nationally. The new year is in mid-April, and they celebrated their yea. It was established following the Bikram Samwat, established by the Indian emperor Vikramaditya. It is a lunar calendar, and it starts after the new moon of the month of Chaitra. The Newari is used, but not officially, in the valley of Kathmandu. The new year is celebrated at the end of October, although nobody could tell us with certainty what year they are. In this article, we propose you to discover 5 best destinations for a trek in Nepal which constitutes unforgettable experiences. Nepal is an Asian country in the Himalayas, bordered by Tibet in the North and India in the South. Although its size is modest (imagine a trapeze 800 km long and 200 km wide), the variety of its landscapes is phenomenal! On this small mountain band, we find the tropical jungle, arid plains, colourful villages, green valleys and snow-capped peaks. By the way, 8 of the 10 highest peaks in the world are in Nepal. It is, therefore, a dream country for hiking, trekking and travel. Hiking routes and variants are innumerable and, contrary to popular belief, this is not a destination reserved for seasoned mountaineers. In these circumstances, choosing a trek in Nepal is not easy. The Everest Base Camp trek is a well-known trek in Nepal. It offers splendid and unforgettable views of Everest, of course, as well as Lhotse and Cho Yu, which also reach over 8000 meters. On this route, the trekker evolves in a landscape of huge peaks and glaciers that seem at hand. This mountain holiday is also an opportunity to discover the beautiful Khumbu region and the Sherpa culture. Variations are possible. It is possible to go through the Gokyo Lakes and Gokyo Ri, offering a breathtaking panorama. The ascent of Kala Pattar (5600 meters) can also be programmed. The Annapurna region Trek is crisscrossed by several hiking routes and is perfect for the first trek in Nepal. Indeed, it is possible to make mountain trips without reaching high altitudes: a characteristic that will appreciate the amateur hikers and those who fear acute mountain sickness. The Annapurna Trek is a village trek that allows you to discover the Gurung culture and enjoy magnificent views of the mountain peaks including the famous Dhaulagiri and Annapurna. In addition, the lodges that line the route are a legendary welcome. The Langtang is a beautiful mountainous region that was hit hard by the 2015 earthquake. It is again possible to cross it: the accesses are restored, the lodges rebuilt. The locals are very friendly and this trek in Nepal is a stay that allows you to discover the Tamang culture of the region. The Langtang High Road is a route that offers very gradual acclimatization and extremely varied panoramas, from the pine forest to the high mountains. It is, therefore, a first dream holiday in this fabulous country! This Langtang trek in Nepal crisscrosses the highlands of Langtang and passes through the lakes of Gosaikunda. The views of the snow-capped peaks are breathtaking! Finally, it is a great opportunity to observe the discreet red panda. The Manaslu trek in Nepal will delight hikers with a desire for high mountains. The route passes through passes of altitude, including the pass of Larkya, at 5150 meters. It also allows you to admire the peaks and glaciers in this region marked by the Gurung culture. The Manaslu trekking is a neighbour of the Annapurna Trek, except that it is much less crowded and takes place in a more authentic setting. The variety of landscapes offered by this trek in Nepal make it an experience rich in emotions: glaciers, mountain passes, small rivers, bamboo and pine forests, mountain pastures. The Manaslu Tour is a physical trek that rewards precisely the efforts of the hiker. Doing a trek in Mustang is walking in a region of Nepal that has nothing to do with the rest of the country. This region has long been a kingdom closed to foreigners and has only been open to tourism for a few years. In Upper Mustang, the landscapes are singular: arid plains, deserts of altitudes, caves and troglodyte cities, reddish cliffs, deep canyons whose funds are covered with green terraces. The Forbidden Kingdom, long fantasized by the adventurers, is full of surprises! Trekking in Himalaya Nepal: how much it costs, which one to choose and what to be ready for. Nepal is a country of monasteries, Buddhist temples, and among the eight highest mountain peaks in the world. The mountains of Nepal attracts like a magnet, climbers and travellers who are fond of hiking, and it is clear why – 85 percent of the country is covered with the majestic Himalayas. The routes are designed for both complete newcomers and trained travellers. If the route lasts more than a day, the tour is designed so that every night tourists will spend the night in comfortable cottages or guesthouses with a shower and Wi-Fi. If your visit is first time visit in Nepal then select trekking routes that no longer than 5 days. For hiking in the mountains, you do not need physical training of a professional athlete. You can always stop for a break, the guide will not push you. Find and choose the best trekking company in Kathmandu Nepal, they will provide the best option for the easy trekking. We will help you to find the best trekking options. It all depends on the specific trekking route, if the height does not exceed 3000 meters, then it is better to pass them from April to October. More serious heights are best to conquer from May to July. For each particular region before the trip, we recommend watching the weather forecast and seasonality of hikes. Read: When is the best time to go to Nepal? Consider that mountain sickness usually begins at an altitude above 3500 meters. So if you do not have special training, then choose your track so that it does not exceed this height. Also, we do not advise to go on jeeps on “high tours”. Since the body must get used to the height gradually. If you are not going to Everest for the first time, then you will not need a lot of equipment. The main thing, do not forget that everything will have to be borne by yourself. We will provide you with a porter on trekking. Backpack: Be sure to marching. The number of litres (capacity) depends on the number of things that you carry with you. According to experienced trekkers, 40-50 litres is the optimal volume. Footwear: Buy good trekking boots, weak it in advance so that they do not begin to rub and cause discomfort during the campaign. If the track is not very difficult, then you can do with good sneakers. Warm clothes: The heat and the sun during the day may be misleading, but warm things are needed. As you rise higher, the temperature at night will drop lower and lower. Charging and electricity: With electricity in the mountains may trouble for you. Normal rain or strong wind is enough to turn off the power supply. So take with you the necessary number of batteries for the equipment and do not forget about the banks. Food/water: Water, as a rule, is not included in the price of the track. You can buy it in the shops on the trail. You can drink this water safely. There are possible in different guesthouses, which are found along the way. It is better not to try exotic food since the nearest good hospital is not in Nepal. Life hacking. Order the best dish Dal Bat – this is rice with different additives. Serve it either with vegetables or chicken. An additive can be asked for free until you are full! Will add everything, except portions of meat. The dish is quite tasty and satisfying! As the locals say, Dal Bhat power 24 hours! Maps / GPS: It is worth taking if you go to the track alone. If with a guide, there is no point in this. 2. Sticks for trekking (at your discretion). On simple tracks, they are not needed. 3. If the backpack allows, grab a second pair of shoes. 5. Sunscreen. During the day in the sun, you can quickly get burnt. 6. Insurance, which applies to trek. Check carefully. 7. Thermos and tea bags. At any parking lot, you can pour boiling water for free. Overnight: You will spend the night in guesthouses (guest houses). The rooms are very simple, the conditions are spartan. The walls are made of chipboard, almost no soundproofing. But there is a comfortable bed with a very warm blanket, a socket, a hanger and fabulous views: almost all the windows overlook the mountains. There, in the guesthouse, you can ask to prepare your breakfast/lunch/ dinner. Everything is tasty and inexpensive. Posted in Himalayas, Nepal, TreksLeave a Comment on Trekking in Himalaya Nepal: how much it costs, which one to choose and what to be ready for. Are you thinking about how to plan your trekking to Nepal? Thinking which Nepalese Trekking company should you go through. Perhaps these reasons can help you to clear your doubts and tell you why you should choose the Best trekking company in Nepal to help you arrange and carry out trekking activities in Nepal. If this is your first visit to Nepal, or if you are completely ignorant of Nepal, then the trekking agency will be very helpful to you. Travelling in Nepal will definitely give you a cultural impact without knowing the relevant language knowledge and culture. Trekking agencies can plan their trips according to your requirements. Years of local business experience will enable them to do this job more clearly and make your hiking trip easier and help you adapt to this special country. Compared to trying to arrange everything yourself, walking through the trekking agency to explore the mountains of Nepal is definitely the most worry-free way because everything will be arranged by the trekking company. A reputable and experienced hiking agency will provide you with a local guide with language skills and experience. And a good guide is not only a new friend in a strange country but also a person who provides convenience and guides you safely on the mountain. When your flight is cancelled, the travel agency will also help you arrange internal flights or helicopters in this worrying situation to ensure the smooth progress of the trip. Handling and obtaining a walking permit can be very time-consuming. If you want to save time and don’t worry about walking permits, use this time to explore the city, then choosing a trekking agency is a good idea. The travel agency will arrange for you to stay in the teahouse on foot (the hotel room will be full during the peak period, you need to book in advance), the walking permit and all the necessary documents so that you can enjoy the journey. In a foreign land, getting support and help from friends is a very happy thing. A good travel agency and guide is your friend in a foreign country. Travel society makes you aware of the various dangers that can help you stay away from them. Let you know that in the event of any accident, it will help you and give you a valuable sense of security. Many popular hiking trails may always have many people on the shuttle, but only a few will understand the true reasons behind the colourful prayer flags, the colourful Mani walls and the local traditions. A good guide provided by the travel agency is very helpful for you to understand the history and culture that is little known in the area. Local guides may know more about local folklore. If you are lucky, you may even be invited to drink tea at the local villagers’ home. Good guides and travel agencies will help you have a deeper adventure in this country. Some trekking agencies can help you choose the best trekking trip for you based on your needs and your situation. Most of the trekking agencies have years of experience in communicating with customers from all over the world and can provide you with the best choice based on your time, health level and experience. Even if you have had a previous walk in Nepal, Nepal’s remote countryside may surprise you in a variety of ways. There are no well-developed walking trails and accommodation facilities in rural and restricted area hiking trails. Most rural hiking routes may require camping outside. This is very challenging even for experienced hikers. At this time, you will know that if the trekking agency’s help will make you more safe and smooth, you can appreciate the beauty of Nepal hidden in these areas. Arranging your trip to Nepal through a travel agency may cost you a little more, but it will make your journey more worry-free and deeper. Discover the best things to do in Nepal with Sahara Holidays Nepal Treks & Expeditions. Nepal is an extremely diverse country with a wide variety of activities to suit every traveller. There are the majestic Himalayan mountain ranges, the Mid-Hills of rolling green terraced paddies and lush forests, and the jungles and plains of the hot and dusty Terai. Throughout all this, there are the white waters of Nepal’s many rivers that race down from the Himalayas. If you’ve made the decision to visit Nepal, great. You’ll not regret it. To help you make the most of your holiday, here’s our complete top 10 Attractions & Activities‎. Discover tourist attractions, schedule tours, plan fun vacation sightseeing activities and book them with us. Welcome to the home of Lord Buddha, a place where you can let your dreams shore as high as the Himalayas and sway with the mysteriously beautiful arts of nature. Expeditions in Nepal is a very interesting and adventurous activity for enjoyment. Nepal is home of eight highest peaks of the world is renowned for mountaineering including Mount Everest, Nuptse, Annapurna, Dhaulagiri, Pumori, Manaslu, Lhotse and Baruntse. When it comes to peak climbing in Nepal, surely is the ultimate choice for all the climbers. Having the eight highest peaks of the world including the highest, Mount Everest, makes Nepal a world-famous mountaineering and peak climbing country. One can have a memorable elephant back safari, jungle walks, Jeep safari, bird watching excursions, Tharu village and cultural tours. The best way to explore the Kathmandu valley is on a mountain bike. Nepal’s diverse terrain is a mountains biker’s dream adventure come true. It is the monsoonal climate that makes Nepal such a great place to fly. The high rainfall in the summer and the latitude of the country means that the tree line is at an incredible 3900m. Nepal is the best destination for almost all kinds of outdoor adventure activities like adventure trekking, rock climbing, peak climbing and mountaineering, bungee jumping, rafting, canyoning, cannoning, jungle safari and much more. 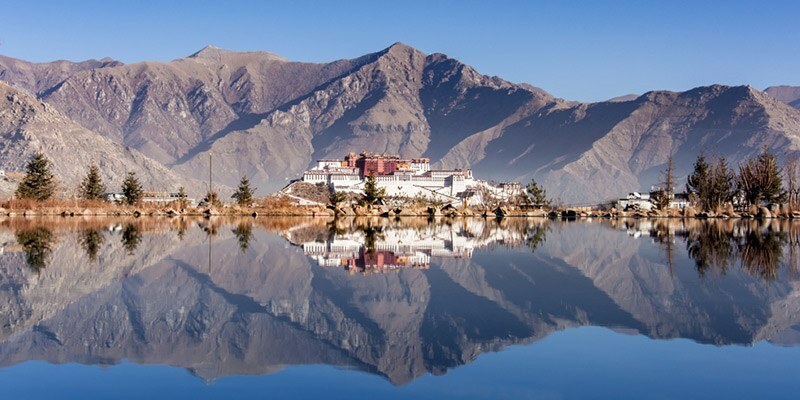 Discover the ancient mysteries, enjoy the majestic views and bask in the splendid scenery of some of the World’s Highest Mountains. 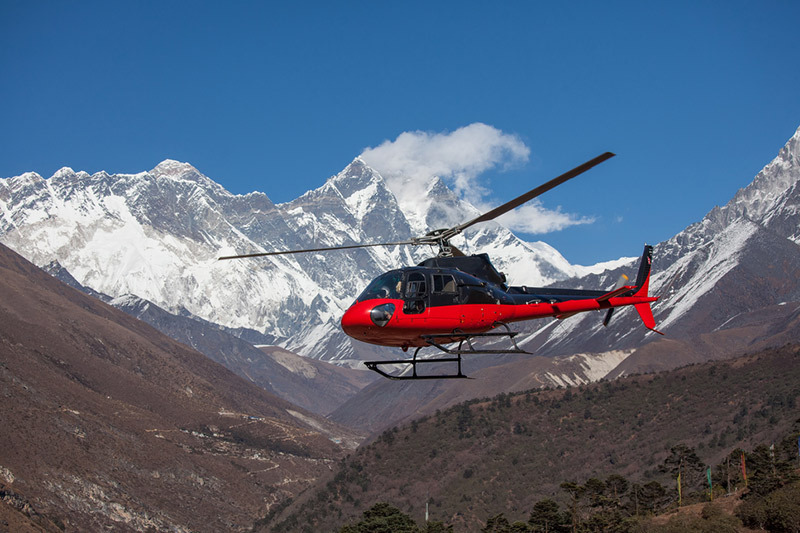 Helicopter Tours in Nepal is getting most popular day by day. 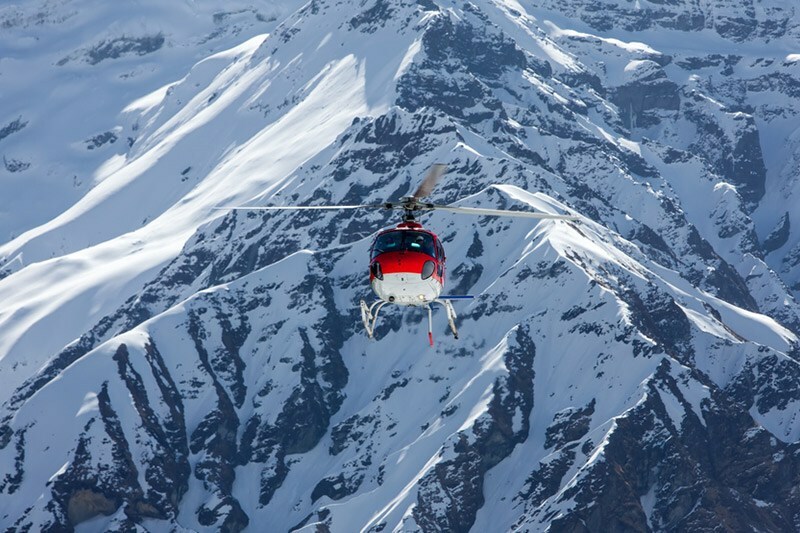 Helicopter tours are extremely popular for the photographer and Mountain lovers. This Tour is the best alternative means of adventure journey in mountains to know every hidden valley of Nepal Himalayas. Our Special Tour Packages is holiday tours and treks packages designed in such a way that a traveller gets best of Nepal in each and every program. Nepal Special Tour is itself nature’s paradise. We offer a range of tours to Nepal for travellers looking forward to experiencing the different aspects of Nepal. This special tour packages in Nepal offers sightseeing in Kathmandu and Pokhara valley and Mountain View destination Sarangkot and Chitwan. Wonders Of Nepal Tours: From gazing out into the Grand Canyon, or underwater at the Great Barrier Reef, visiting the natural wonders of the world is an experience almost anyone in your family can appreciate. With so many natural wonders around the world, you almost never have to venture far to get a glimpse of one of nature’s beauties. What is needed to truly appreciate these amazing sites? A good camera, comfortable shoes and the right attire to fit the weather will make your trip a treat. Many natural wonders have eco-friendly hotels, or other accommodations that help you enjoy your stay and reward you with great views. Plan a road trip for an awe inspiring adventure in your favorite National Park, or plan a longer vacation to truly immerse yourself in an amazing site. Nepal Adventure Tours: Nepal has been the dreamland of the tourists for a long time. Nepal invites, welcomes, charms and bewilders the visitors. Those who have already visited Nepal cherish the desire for a second visit and those who have heard or read about the kingdom make a plan to visit the country. The pattern of religion gives the country a unique status in the world. Adventurous activities in Nepal is the dream of every Nepal visitors. Come and let us be with you supporting you in every Nepal Adventurous tour. Popular Trekking Routes are becoming more crowded and busy. If you are looking for a more quiet, natural and non-tourist trekking destination in Nepal. Sahara Holidays arrange trekking trip to newly open trekking destinations. Newly Opened Trekking Routes of Nepal take you close to the wilderness and nature where life is simple and people are friendly. This trekking trails will take you beyond your imaginations of normal trekking as you enter into river valleys, lush green forest and uninhabited rain shadow areas behind the Himalayas. Rolpa, lying in mid western part of Nepal, is one of the most backward districts in terms of infrastructure. However, it is regarded as one of the exciting potential tourism destinations in the country because of its nature, culture and political history. District headquarters Libang lies approximately 300 km west of Kathmandu. Kham Magars are the major inhabitants of the district followed by other groups like Brahmins, Chettris, Newars and Thakuris. Rolpa is the origin of the decade-long People’s War which claimed more than 10,000 people. Jaljala is one of the popular destinations in the district with immense tourism potentials. Badimalika is one of the new trekking trails identified and explored by Trekking Agencies’ Association of Nepal (TAAN). Tilak Thapa Magar, joint treasurer of TAAN, was the leader of the exploration team. Offering some of the best natural landscapes, the trail lies in Bajura district in far-western region of Nepal. The major attraction of the trail is the temple of Badimalika which is situated on top of a hillock (4,200 meters). The place wears festive look during Janai Purnima festival (August). Thousands of people from different parts of the country as well as neighboring India visit the temple on this auspicious day. Bajura is rich in terms of culture and tradition of local people. They perform different dances like Deuda, Hudkeuli, Bhuwo and Thadi among others. The trail is operable throughout the year. But heavy snowfall during winter can affect trekkers. Though teahouses are available in lower areas, trekkers are advised to be self-sufficient on food and accommodation. As the area is relatively new, trekkers are suggested to hire local guides as the trail lacks signposts and other infrastructures. Other tourist attractions in Bajura are Khaptad National Park and Budhi Nanda Lake, among others. Similarly, the Rara-Khaptad Circuit Trek also passes through Bajura. Lumba Sumba Trek is one of the new trekking routes identified and explored by Trekking Agencies’ Association of Nepal (TAAN) in 2012. A 20-member team, including support staff, led by Rana Bahadur Khadka, 1st vice-president of TAAN, explored the route in April. Lumba Sumba Peak (5200m) is the major attraction of this route. Offering some of the most spectacular Himalayan landscapes, this trekking route is home to different ethnic groups like the Limbus, Sherpas, Rai, Gurung, Magars, Newars and Tamangs. The trek runs through Kanchenjunga Conservation Area (KCA) in the eastern Himalaya. Trekkers can explore the traditional farming practices and see different birds and wildlife species, including the endangered snow leopard and red panda, from the route. There are a number of high mountain lakes in Olangchung Gola. Through this route, we explore two of Nepal’s best preserved protected areas – the Kanchanjunga Conservation Area and the Makalu Barun National Park. Through the route, one can also trek to the base camps of Mt Kanchenjunga and Mt Makalu. Similarly, the Tamor and Arun River systems can be the other attraction for tourists. These two rivers are the major tributaries of the mighty Sapta Koshi River. The route encompasses alpine grasslands, rocky outcrops, dense temperate and sub-tropical forests, and low river valleys. Apart from natural beauty, trekkers can also explore cultural heritage like monasteries, chhortens, temples and prayer walls. And to add to the flavor, the festivals of all of these people living in harmony only serve to make the native culture livelier. Dolpa is one of the most interesting trekking destinations of Nepal for many reasons. First of all, with an area of 7,889 sq. kilometers, it is the largest district of Nepal, and yet one of the most sparsely populated. Its topography is very interesting. It contains the deepest lake of Nepal, Lake Phoksundo, which also happens to be the deepest lake of high altitude in the world. Dolpa is one of the few Nepali districts that is behind the Himalayan mountains, due to which it gets very little rain. Hence, most of the hills are bare with little vegetation. Harsh weather combined with high hills makes this area one of the most inhospitable in Nepal, and yet the barren and majestic hills lend it a rare beauty that is absolutely mesmerizing. Due to the harsh living conditions, few people live or travel in these areas. As a result, the people of Dolpa are part of a very isolated culture found in specific pockets of northern Nepal. This is a land where life still revolves around horses, mules, and yaks, people still wear traditional attire and jewelry, waters are still divided on the basis of a dice game, and the remains of the dead are given to wild vultures. Even today, much of Dolpa is a restricted area for tourists, which contributed to the preservation of the unique culture of Dolpa. Some of the attractions of this route are Dho Tarap, a human settlement at the highest altitude in the world, Shey Gumba, religiously the most important Gumba in Nepal, and lake Phoksundo, the deepest lake of high altitude in the world. The months of March to September are good for embarking on this trek. After September, it starts snowing heavily, and trekking is possible only with heavy duty equipment. From November it is completely impassable. The best time is from March to May, as it may rain in June and July. However, the number of tourists coming to this region is limited. The district is home to Mt Manaslu and the famous Manaslu Circuit Trek. Besides, the Lower Manaslu route offers moderate trekking, historical tour, pilgrimage tour, agro-tourism, and community-based homestay. The locals are also committed to development and promotion of tourism in the district. The Lower Manaslu Trek begins from Ghairung near the famous Manakamana Temple and progresses through Gorkha Bazaar, Sirandanda, Barpak, Laprak, Lambai Kharka, and Dharche Danda before concluding at Gyampesal. Accommodation is mostly on homestay or camping as commercial lodging is available in only a few places. Wildflowers flourish, and waterfalls embellish the lush hill scenery in a land blessed with wide-ranging geographical, cultural and biological diversity. Sensational viewpoints feature the sublime Himalaya to the north. Most prominent is the Ganesh Himal Range – a family of peaks among the most attractive of the entire Himalaya. The Ganesh massif is named in honor of Hindu deity Ganesh, son of Shiva and Parvati. The Ganesh Himal area has some excellent viewpoints that offer magnificent views of peaks and valleys. Most rewarding are the magnificent Ganga Jamuna — twin waterfalls — Kalo, Seto and Ganesh kunda, hot spring and Tripurasundari temple and especially the hospitable people that inhabit the region. The Ganesh Himal Region lies in Dhading, Gorkha, Rasuwa, and Nuwakot districts. The area is populated mainly by Tamang Gurung and Ghale to the north, and Bramhin, Chhetri, Dalit, Newar, and Chepang at the lower elevations in the south. Visitors are warmly welcomed by all with a friendliness that makes Nepal legendary. At least 10 separate trekking itineraries are recommended and await travelers promising unforgettable adventures. The government registered trekking agencies will be happy to set up visitors with a guide and all necessities for exploring this captivating, undiscovered region. The area is easily accessed by the Prithvi Highway and Pasang Lhamu Highway along the southern fringes, connecting Kathmandu and Pokhara. Another adventurous option is to hike in from the Tamang Heritage Trail of Rasuwa and follow the Ruby Trek, so named for the precious stones found in the Area, as well as Bhalche in Nuwakot, Gorkha and Dhading Besi.